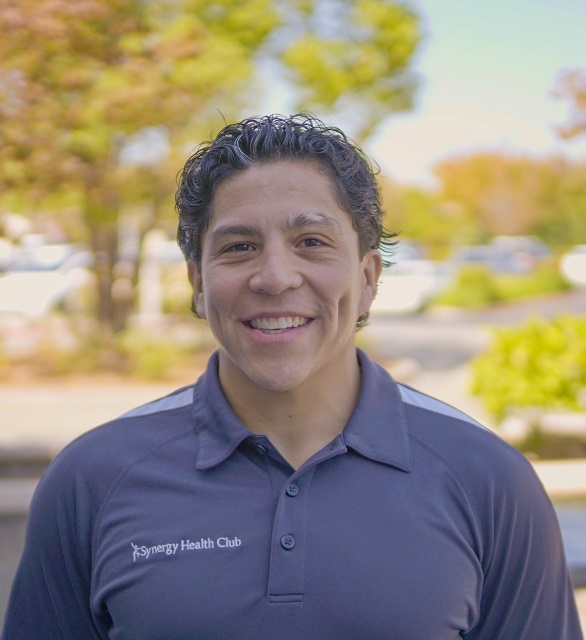 The Medical Fitness Association wants to partner with like thinking non-profit organizations to further the goals of improving the health of the communities we serve through exercise, nutrition and lifestyle management. To that end, we have engaged with the organizations below in our quest to educate physicians and physician extenders, exercise professionals, ancillary health care providers, and the public about the value of exercise in the management of individual and population health risk, using exercise in the treatment of many chronic diseases and implementing a broad prevention program for those at risk for chronic conditions. If your organization is interested in joining with us in joint advocacy, joint position and white papers, supporting one another in our various conferences with speakers, etc., consider joining with us. For more information about our Strategic Partner program, please contact our President & CEO, Bob Boone. The Academy for Brain Health and Performance (ABHP) revolutionizes the way fitness and wellness clients achieve optimal health, fitness and performance by integrating brain health solutions into fitness and wellness settings. Similar to developments in cardiovascular health in the 20th century, there is now an opportunity to make significant progress with brain health in the 21st century. ABHP’s team of leading scholars, clinicians, innovators and business professionals in the field of brain health, fitness and wellness have come together to develop three key innovations to optimize brain health and performance across the lifespan: education and training programs; brain health assessment and intervention toolkits; and embedded turn-key, profitable brain health and performance centers. The American Association of Cardiovascular and Pulmonary Rehabilitation (AACVPR) is a multidisciplinary professional association comprised of health professionals who serve in the field of cardiac and pulmonary rehabilitation.Members include cardiovascular and pulmonary physicians, nurses, exercise physiologists, physical therapists, behavioral scientists, respiratory therapists, dieticians and nutritionists. We are committed to the continued professional development of our members through networking and educational opportunities. The nonprofit American Council on Exercise educates, certifies and speaks for a growing network of 50,000-plus fitness professionals, health coaches and other wellness experts, a community ACE is leading more directly into the fight against physical inactivity and obesity. ACE advocates for recognition of its profession as a provider of primary prevention and obesity-management services, and ACE makes available to the public science-based information and resources on safe and effective physical activity and general healthy living. Headquartered in San Diego, ACE is the largest provider of health and fitness certifications accredited by the National Commission for Certifying Agencies (NCCA), the gold standard in the United States for accessing professional competence, ensuring people have access to fitness, health, and wellness professionals that are properly trained, qualified and capable. The American College of Sports Medicine advances and integrates scientific research to provide educational and practical applications of exercise science and sports medicine. ACSM is the largest sports medicine and exercise science organization in the world. With more than 50,000 members and certified professionals worldwide, ACSM is dedicated to advancing and integrating scientific research to provide educational and practical applications of exercise science and sports medicine. ACLM is the professional association of physicians, clinicians and allied health professionals dedicated to the use of lifestyle as a therapeutic intervention for prevention, and, more importantly, the treatment and, often, reversal of chronic, degenerative disease. Lifestyle Medicine is a branch of evidence-based medicine in which comprehensive lifestyle changes (including nutrition, physical activity, stress management, social support and environmental exposures) are used to help prevent, treat and even reverse the progression of many chronic diseases by addressing their underlying causes. As our healthcare system shifts from a fee-for-service to a value and outcome-based model, it’s imperative that Lifestyle Medicine become the foundation, ensuring a transformed and sustainable system of care. ACPM provides leadership in research, professional education, development of public policy, and enhancement of standards of preventive medicine for and on behalf of its physician members. Uniquely trained in both clinical medicine and public health, preventive medicine specialists are equipped to understand and reduce the risks of disease, disability, and death in individuals and in population groups. Our members are employed in research, academia, government, clinical settings, and other entities worldwide. ACPM provides a dynamic forum for the exchange of knowledge among preventive medicine specialists, and offers high-quality educational programs for continuing medical education (CME) and maintenance of certification (MOC), information and resources for ongoing professional development, and networking opportunities. 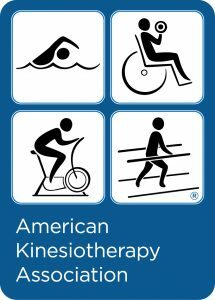 Kinesiotherapy is defined as the application of scientifically based exercise principles adapted to enhance the strength, endurance, and mobility of individual with functional limitations or those requiring extended physical conditioning. A registered kinesiotherapist can administer treatment only upon receipt of a prescription from qualified physicians, nurse practitioners and/or physician’s assistants who have been privileged to make such referrals. 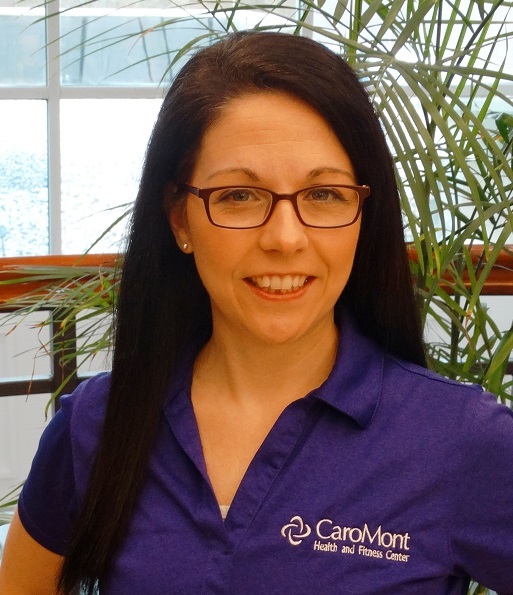 To learn more about KT’s and how to hire a registered kinesiotherapist, please click here. ACHRM is a unique employer-exclusive community to collaborate with your peers, learn new methods and techniques to reduce your company’s health care costs and improve employee well-being and productivity. 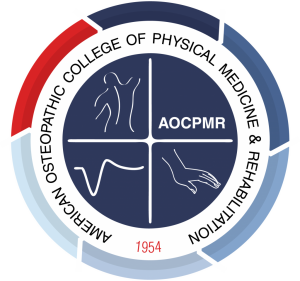 The AOCPMR is the professional association of Osteopathic physicians dedicated to providing added value services to its members in the areas of advocacy, education and practice. AOCPMR values camaraderie, excellence and quality as it lives its mission. The profession is based on the dynamic interaction of mind, body and spirit; the body’s ability to heal itself; the primary role of the musculoskeletal system and preventive medicine as the key to maintain health. The Aquatic Therapy & Rehab Institute, Inc. (ATRI) is a non-profit educational organization dedicated to the professional development of healthcare professionals involved with aquatic therapy. ATRI offers continuing education courses at conferences that will advance the knowledge and skills of the aquatic therapist. Aqua therapy and rehabilitation research shows benefits for many populations. If you have water available to you in the form of a pool, spa or open water (lake, river, ocean), you can rehab yourself and others. Rehabilitation in water can take place in a warm or cool pool. Therapy and rehab have documented results in pools (or water) from 80 to 98 degrees. Research regarding exercise in the pool is extensive. The teaching and education for aquatic therapy and rehabilitation happens in schools, conferences and online. The most extensive aquatic therapy education is offered by the Aquatic Therapy & Rehab Institute. CEPA originates as an affiliate society of the American College of Sports Medicine (ACSM). As an affiliate society, CEPA is autonomous, but operates with administrative support from ACSM. CEPA, along with ACSM, is committed to the development of CEPA as an independent, self-sufficient professional organization. The Coalition for the Registration of Exercise Professionals® (CREP®) is a not-for-profit 501(c)(6) corporation composed of organizations that offer NCCA-accredited exercise certifications. Coalition members are committed to advancing the fitness profession and earning recognition as a health provider for practitioners that have passed a competency-based program using an exercise certification exam that has been accredited by the NCCA. Primary to the mission of the Coalition is to provide individuals of all ages and abilities with resources and leadership to assist in safely and effectively reaching their goals of achieving more active, healthy lifestyles through movement, physical activity or exercise for recreation or performance. In 2007, the American Medical Association (AMA) and the American College of Sports Medicine (ACSM) co-launched Exercise is Medicine (EIM) – a United States-based health initiative that has since been coordinated by ACSM. The initial purpose of EIM was to make the scientifically proven benefits of physical activity the standard in the U.S. healthcare system. Within two years of its launch, representatives from international public health, medical and scientific associations asked ACSM to expand its initial scope beyond the United States and begin a multinational collaboration to make EIM a global effort, launching the EIM Global headquarters in Indianapolis, IN. Currently there are seven regional centers and 43 national centers across the globe. The National Physical Activity Plan Alliance (NPAPA) is a non-profit organization that is committed to insuring the long term success of the National Physical Activity Plan (NPAP). The Alliance is a coalition of national organizations that have come together to insure that efforts to promote physical activity in the American population will be guided by a comprehensive, evidence-based strategic plan. The Alliance is governed by a Board of Directors that is composed of representatives of organizational partners and at-large experts on physical activity and public health. 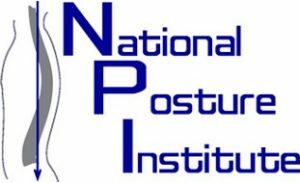 The National Posture Institute is an educational and member-driven organization, providing public outreach, corporate wellness, and professional certificate programs for allied health/fitness professionals as well as posture education programs for the general public. The obesity crisis is well documented. It is a tremendous issue for many Americans and is driving up our overall health care costs. However, there is another huge issue, actually a global pandemic, which is equally troubling – Inactivity. Physical inactivity is the 4th leading cause of death and more people are dying of physical inactivity than smoking in America. Rock Steady Boxing is a nonprofit organization founded in Indianapolis in 2006 with a mission to empower people to “fight back” against Parkinson’s disease (PD), a progressive, incurable, neurodegenerative movement disorder. RSB gives people with PD hope by improving their quality of life through a non-contact, boxing-inspired fitness curriculum. Professional boxers condition for optimal agility, speed, muscular endurance, accuracy, hand-eye coordination, footwork and overall strength to defend against and overcome opponents. At RSB, PD is the opponent, and scientific research demonstrates that forced, intense exercise may actually be neuroprotective, slowing the progression of the disease. 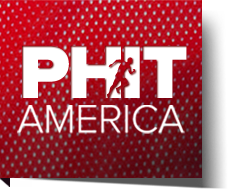 Currently there are 600 affiliates in all 50 states, Puerto Rico, and 30 international locations. The Women in Fitness Association (WIFA) is the only global non-profit organization that supports women of all ages and races to succeed both professionally and personally within the fitness industry. WIFA membership includes quarterly virtual meetings, live gatherings, mentorship pairing, networking capabilities, speaking and presenting opportunities, and blog contributions.The vision of WIFA is that every woman professionally representing the fitness industry can find her place and rise to her fullest potential!Our aim is to see more women in the board room, championing each other to achieve, sharing success through collaboration.